When searching for a great hotel I would always recommend digging further than just the first page of Expedia. This should always be a rule when traveling with kids as well. 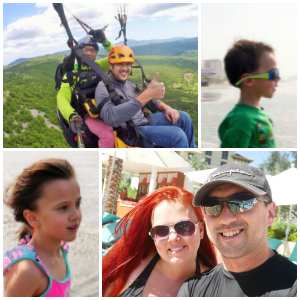 When planning a family vacation run-of-the-mill just won’t do. You want a hotel that brings something more than just comfortable beds. Even when it comes to a simpler destination like Denver Colorado, you’d be amazed what you might come across if you do a little more research. Because I did a little more hotel research for our recent Denver trip I came across a gold mine! I found the Best Western Denver Southwest! This wasn’t just any hotel, this was a dinosaur hotel. For my kids it doesn’t get much better than that! Upon arrival my kids already spot a dinosaur outside and a huge sandbox that they could dig up dinosaur bones. Looking back I’m not sure how we even got them to go inside the hotel. They could have stayed outside digging through sand all day long. When you walk through the doors you feel like you’ve stepped into a dinosaur museum instead of a hotel. There are bones, pictures, diagrams and all sorts of dinosaur artifacts. Unlike a museum kids can touch everything (carefully). This makes for an amazing hands-on learning experience. Greg, the owner of this Best Western has put a lot of time and love into this hotel and it shows. He has made this an experience and a great hotel for anyone of any age. If you can make it pass the lobby you will find the rooms are a great size and come with a fridge, TV, and everything you will need for a great family vacation. One of my favorite things about Best Westerns, and the reason I will always chose a Best Western over other hotel options is the amazing full breakfast you get every morning! This makes it so worth it to find a Best Western everywhere you go! This is not your normal hotel breakfast and it’s far from a continental breakfast. This is the type of breakfast you would see in a feel good holiday movie. If you have a craving for something chances are it’s there. Waffles, bacon, sausage, biscuits, eggs, cereal, bagels, pastries, and the list goes on and on. When you have a whole family to feed getting a great breakfast like this in the morning is priceless. When my husband and I travel without the kids, this will actually tie us over until dinner. This really helps our travel budget! After letting your incredible breakfast digest a little bit, you can head out to the great Best Western Denver Southwest pool. We went in October so thank goodness it was heated. They also have a great hot tub if that’s more your thing. 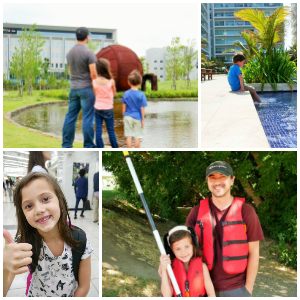 My daughter loved the pool and we spent a whole afternoon playing in the pool. *As a tip if you fly into your destination, and plan on swimming at your hotel; Google the nearest Dollar Store for some cheap disposable floating pool toys. I loved that the hallways were large and had plenty of lighting. There are two floors at the Best Western and a lot of rooms. The Best Western Denver Southwest also provides a workout room, which I know I should have taken advantage of, but come on I was on vacation! They also have an onsite laundry room, which is great for long stays (or just messy kids). The Best Western Denver Southwest is a hotel you really could just hang out at and relax. I love all the extras with this hotel and I especially love the Dinosaur theming! Another awesome feature to the hotel is they have a fossil interpreter come and explain what all the fossils are and pass along their knowledge. My daughter found this fascinating and spent most of our first morning taking in everything she could about the fossils and other dinosaur information. This is also a fascinating learning experience for the adults as well, and most mornings I found it was mostly grownups gathered around to learn. As you can see this is not your average hotel and instead it’s something pretty awesome! 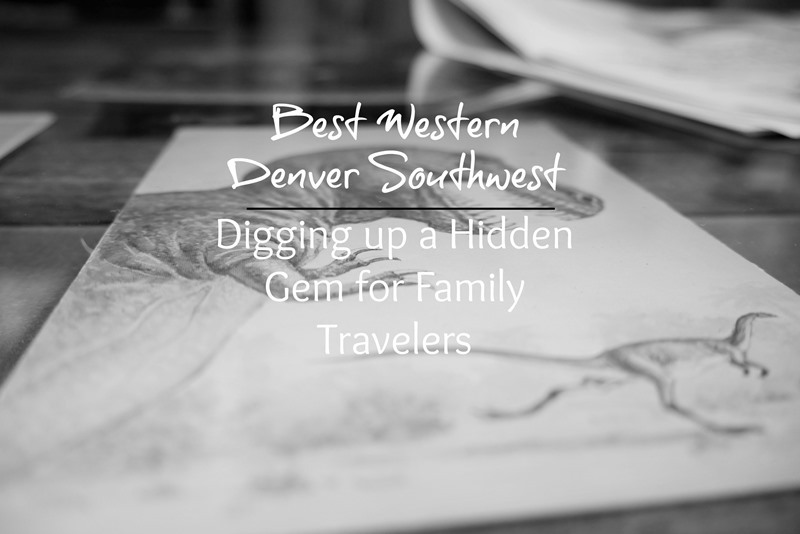 I would always highly recommend Best Western’s for family travel, but I would especially recommend The Best Western Denver Southwest for anyone headed to Denver. You might want to even plan a whole trip around your stay at this amazing hotel.